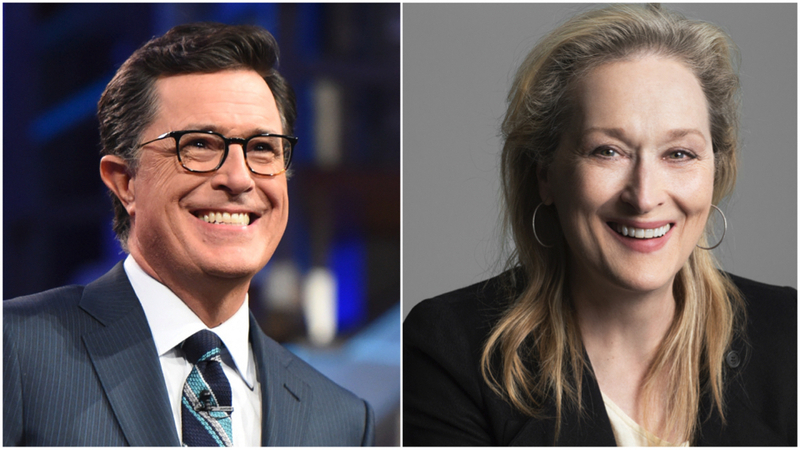 Montclair Film, New Jersey’s leading film non-profit, today announced that Stephen Colbert, host of CBS’ “The Late Show With Stephen Colbert,” will host an evening with three-time Academy Award® winner Meryl Streep, on stage at the New Jersey Performing Arts Center (NJPAC) in downtown Newark, NJ on Saturday, December 1, 2018 at 8:00 PM. Tickets range from $79.50 to $250 and will go on sale Tuesday, September 25 at 10:00 AM to Montclair Film members. All active Montclair Film members will receive an email with the early access code before Tuesday’s pre-sale begins. American Express members will receive pre-sale access on Wednesday, September 26 at 10:00 AM, with public ticket sales beginning on Friday, September 28 at 10:00 AM. Public tickets will be available by telephone at 1-888-GO-NJPAC (1-888-466-5722), at the NJPAC Box Office at One Center Street in downtown Newark, and online at www.njpac.org and ticketmaster.com. For early access to tickets, Become A Member Today! Win a once-in-a-lifetime experience, including a luxury box at the event for four guests, an invitation to a pre-show cocktail party, VIP tickets to The Late Show With Stephen Colbert, and a backstage meet-and-greet with photos. Visit CharityBuzz.com for full details. All proceeds from this special evening will benefit Montclair Film, a 501(c)3 non-profit arts organization that hosts the annual Montclair Film Festival (May 3- May 12, 2019), as well as year-round film education, cinema, and community programs that reach over 30,000 patrons a year.